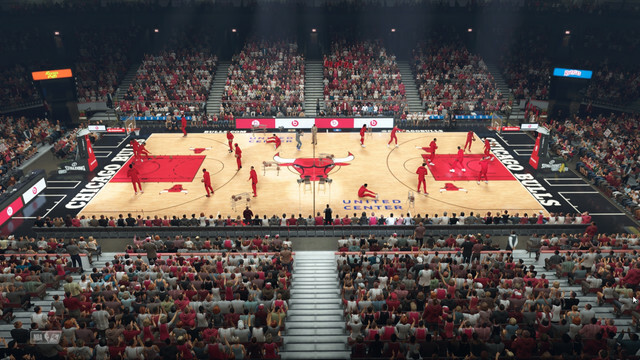 Seems that the courts from 2k18 work exactly the same for 2k19 no need for a conversion. 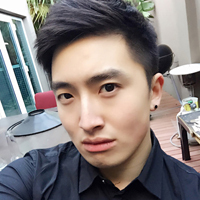 I will work on arena lighting tomorrow. 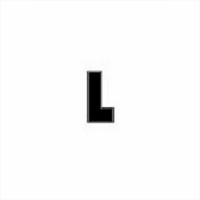 Last edited by Manni Live on Sun Mar 17, 2019 3:10 pm, edited 39 times in total. Re: Manni's Crib│Boston Celtics TD GARDEN Previews! BOSTON CELTICS TD GARDEN RELEASED! Re: Manni's Crib│BOSTON CELTICS TD GARDEN RELEASED! Stupid question how do we mod again? Can I follow 2k18 tutorial? 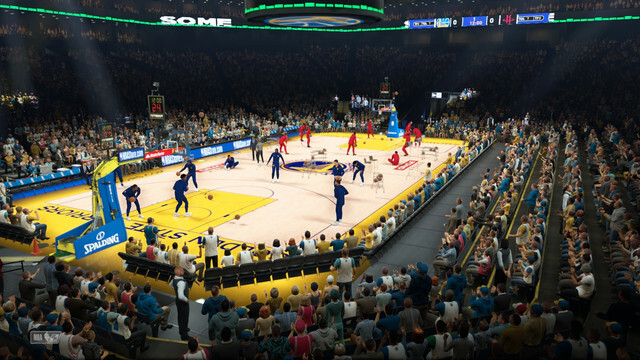 I tested AmaroWaade's PEPSI CENTER court and Manni Live's BOSTON CELTICS court. I found some results that I wanted to discuss with you guys. First of all, I use 8x anti-aliasing and ultra setting. 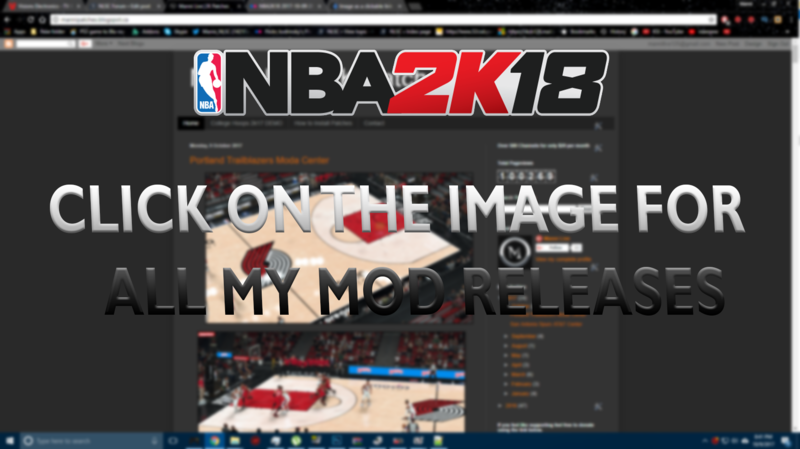 I found there were more noticeable aliasing by using NBA2K19 modded court in NBA2K19. 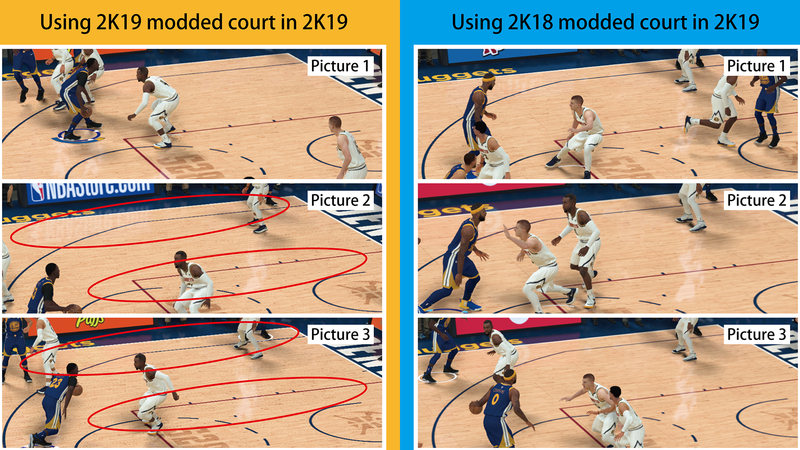 However, there were no aliasing problem by using NBA2K18 modded court in NBA2K19. Let me show you my pictures. Do you guys have same results like mine? Last edited by HappySnow on Tue Sep 18, 2018 12:44 am, edited 3 times in total. Boff2k wrote: Stupid question how do we mod again? Can I follow 2k18 tutorial? I made a video showcasing your TD Garden floor, as well as EGS MLLRs realistic ball. I put the links to the threads in the video description. Did Boston remove @Putnam from in front of both benches? eko718 wrote: Philly looking good. 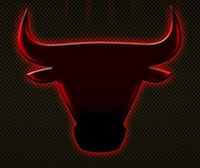 Uncle Drew wrote: Did Boston remove @Putnam from in front of both benches? I will not be doing local ads until the season starts. They may have changed it. Cool vid sir What are your graphics settings? 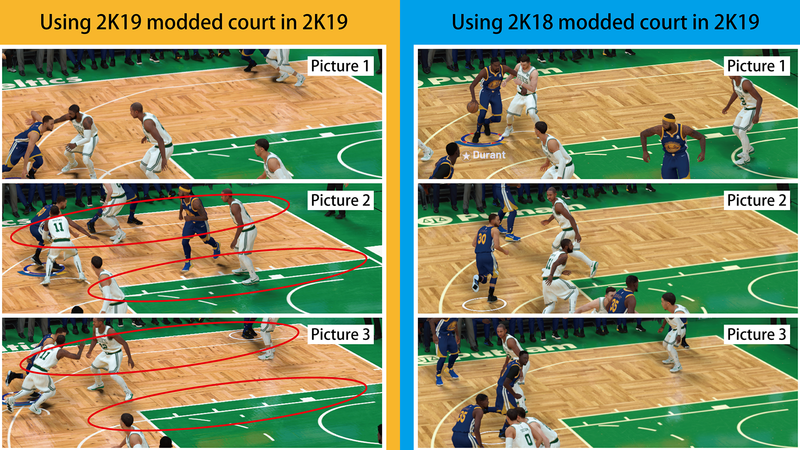 It seems like you have the same Anti Aliasing problem HappySnow mentioned above when using the new modded courts like Manni's TD Garden based on the video. Do you know what's causing it? Re: Manni's Crib│PHILADELPHIA 76ERS WELLS FARGO RELEASED! Tobay93, I did have that problem before, i for me however in my NVIDIA ocntrol panel i had my AA off once i set it to it (Which is the screenshot above) it wasnt as jagged as before. 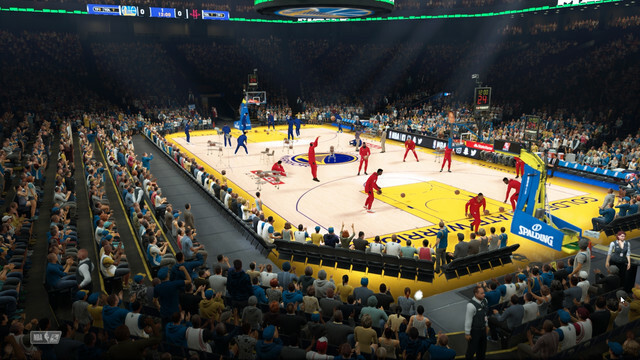 It looks like there are no player reflections on the court for Pepsi Center; I noticed the same in another Pepsi Center patch. 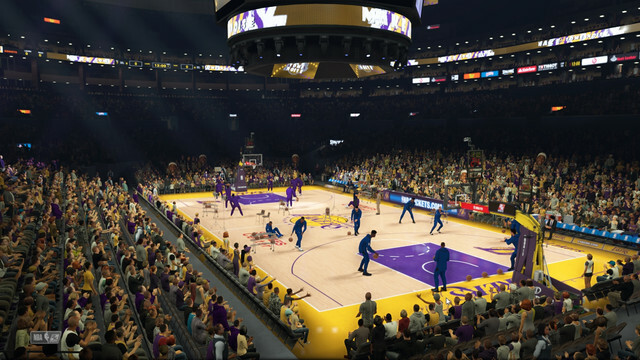 eko718 wrote: It looks like there are no player reflections on the court for Pepsi Center; I noticed the same in another Pepsi Center patch. Sorry, just saw this question. I have it on Ultra with AA at 8... and I actually didn't notice any graphical issues with the court. I guess I'm not seeing what you guys are seeing.